It's a no brainer that Bollywood continues to inspire our lives. It reflects Indian society because the masses can identify with it and the films depict people's desired version of reality. So, for a movie channel to have such an 'inspired-by' narrative for its creative communication, seems pretty obvious. Zee Cinema has time and again rolled out marketing/brand campaigns inspired by Bollywood films - 'Paap Ka Anth' (inspired by Phoolan Devi's biopic 'Bandit Queen') to 'Pyar Ki Shuruat'. Its latest ad film is also Bollywood-inspired and was launched to announce its new brand positioning - 'Seene Mein Cinema'. Zee Cinema's new brand philosophy - 'Jazba Hai Jeene Mein, Jab Cinema Hai Seene Mein' - captures the emotion of achieving the unachievable. 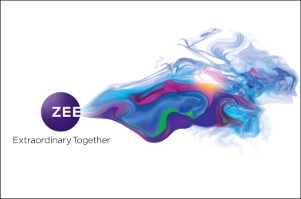 The multi-phased campaign debuted during this year's Zee Cine Awards. The film opens with a doctor's cabin and a patient who is diagnosed with cancer. From the moment the patient hears the news to the moment his family throws a party to celebrate his life, the man draws encouragement from cinema to overcome the hurdles and live life to the fullest. The man, a die-hard Bollywood fan, exemplifies the channel's new positioning. 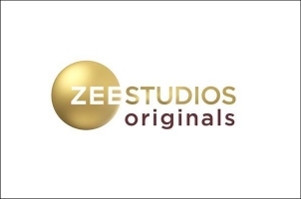 About the campaign, Prathyusha Agarwal, CMO, Zee Entertainment Enterprises (ZEEL), says, "With our new brand philosophy, we urge our viewers to take inspiration from cinema and chase the extraordinary." Conceptualised and created by Lowe Lintas, the film was produced by Absolute Productions and directed by Shlok Sharma. The campaign is live on Zee Cinema channels and social media platforms. Radio spots and TVCs have also been released while being pushed through OOH and movie theatres as well. "We did a refresh packaging in October last year and started working on the campaign about nine-ten months ago. Since then, we have launched Cinema Premier League etc.," says Agarwal. But before the storyline was finalised, the brand pondered on the analytics and figured out an emerging trend in Bollywood - of late, films where a protagonist battles the odds to make a mark have resounding success and acceptance with audiences. Hence, the 'Jazba Hai Jeene Mein, Jab Cinema Hai Seene Mein' proposition was coined. "The insight was that we Indians are fully filmy in our hearts and minds. We relate to movie characters, scenes and dialogues when we face odds in our lives. Of course, there was a lot of sweat and hard work involved in converting the idea into a reality," says Sagar Kapoor - CCO, Lowe Lintas. Zee Cinema's core TG continues to be middle-class families because it's a mass brand. However, through this campaign, the brand is specifically targeting a 25-35 age group. Hindi movie pay channels (Zee Cinema, πctures, Zee Bollywood, Zee Action, Star Gold, Movies ok, Sony Max, Sony Max 2, UTV Movies, and UTV Action) reach out to 167 million viewers (average) per week. Zee Cinema reaches out to 123 million weekly (average), whereas Star Gold and Sony Max reach out to 124 million and 121 million every week, respectively. Delhi, Maharashtra/Goa in the urban areas, Mumbai, Gujarat/Daman and Diu/Dadra Nagar Haveli, in the 10-75 lakh population categories are the top performing markets for Zee Cinema. 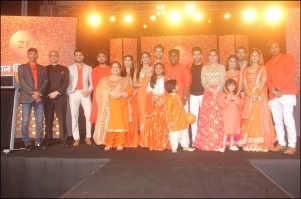 "The multi-phased campaign was unveiled during this year's Zee Cine Awards." "We have been on a positive upswing and are on top in terms of brand power. We always strive to increase brand love and move on from being a popular brand to an iconic brand. Hence, Zee Cinema always had powerful brand communications from our Phoolan Devi-inspired ad to 'Movies Masti Magic'," states Agarwal. As per the brand track done by Kantar Millward Brown, Zee Cinema's brand power has grown from 20.5 (2017) to 23.2 per cent (2018). The brand's share grew from 16 per cent to 16.7 per cent in FY'19 while the Zee Cinema cluster grew from 34.1 (in FY'18) to 36.4 per cent (in FY'19). "Since we are very strongly positioned with content, we have been ruling the consumer's mind. In terms of the cinema cluster, in the TV category, our movie library is robust - be it repeat-watch or the premiers like 'Dhadak' that registered a 5.1 rating. Soon, we will be premiering '2.0' with 'Uri: The Surgical Strike', 'Simmba' etc.," Agarwal informs. "This is a very exciting time for the category. For the first time, pricing has become a variable. Till now, marketing was all about day, date and time. The pie was taken for granted. But now, with TRAI's announcement, you have a uniform unit pricing introduced into the system. As a result, brands will be forced to push value-added content. Hence, consumers will also start demanding value-added products like bulk purchases," she adds. Zee Cinema's latest campaign quite resembles Google's 'The Hero - A Bollywood Story' brand film. So, we asked the experts - was it erroneous? How would they rate the brand integration in the film? Strategy Consultant Lubna Khan finds the film to be a heartwarming piece of entertainment, making it a perfect fit for a mass entertainment brand. She says, " I am, however, puzzled by the brand positioning itself. Beyond generic messages around passion for cinema, entertainment, and inspiring lives, it fails to convey to the potential viewer why they should choose to spend their precious time and attention on this platform, as opposed to the dozens of viewing options out there with similar content. What unique elements of Zee Cinema's culture, content and business model are captured? What cultural tension does it seek to resolve? These questions, fundamental to positioning a brand, are unanswered. It feels like the brand played it safe, and in the world today, safe is easily forgotten." According to Naresh Gupta, managing partner and chief strategy officer, Bang in the Middle, "We may argue that one is the story of a father and son while the other is of two brothers, but there are too many similarities in the way the story is built. Maybe there was a big miss from Zee Cinema not to have looked at similar stories that exist in the public domain."